If you’re thinking that sounds nice but need to recharge a little bit more, you’re in luck. The County is home to some of the most amazing artist studios and artisan shops, adorable cafes, and amazing lounges to enjoy a more relaxing moment. Have a relaxing stroll down any of the main streets, grab a tea at The Courage or The General and read a book, or have a seat and stare at the amazing horizon overlooking Lake Ontario at the Drake Devonshire. You can also explore a little and find your own slice of heaven – easy to find and in plentiful supply. A vacation doesn’t have to be a big production and the last thing you need is more stress when you’re trying to let loose. A stay in the County means that you can plan an amazing escape, or pop over at the drop of a hat – both with incredible results. With a little taste of paradise, everything feels different when you get back home. We know that feeling well in the County, and live it every day. Welcome to the place where you can feel like yourself again. Want a taste of what the County has to offer? First, let’s think food and wine. With a storied history, the County has surpassed its up-and-coming status to become one of the world’s best wine countries, with an incredible combination of growing conditions and skilled artistry that has built up a reputation for local terroir that stands out. Among the most famous is the amazing Hillier Creek Estates, particularly nearby Cribs on the Creek. Just like many other estates in the area, you can enjoy an incredible meal while sampling their many wines, perfectly matched for the most amazing culinary experience. Wine not your thing? The County has you covered. Popping up lately is a variety of amazing microbreweries and cideries to whet your whistle while you enjoy some amazing locally-inspired grub. Nestled on the shores of Lake Ontario you’ll find Prince Edward County – a little slice of paradise that’s almost surprising for Canada – but makes total sense if you’ve been here. Benefiting from amazing weather, natural features, and warm-hearted people, The County (as locals call it) is home to an amazing array of bustling businesses and famous far and wide for being a destination for nature lovers, wine lovers, and, well, love lovers. Some of the most amazing wine in the country is grown from sun-kissed vines in the County. Amazing restaurants serve up incredible cuisine that is inspired by the flavours of the harvest. Local ingredients are key here, as there is an endless supply of amazing produce and products. Local distilleries, breweries, cideries, and artisans make handmade products that you’ll never find anywhere else – and it’s all so close to each other that it’s a wonder anyone gets anything done around here. With all this talk of eating and drinking, we almost forgot to mention one of the key features of the County – the amazing nature. 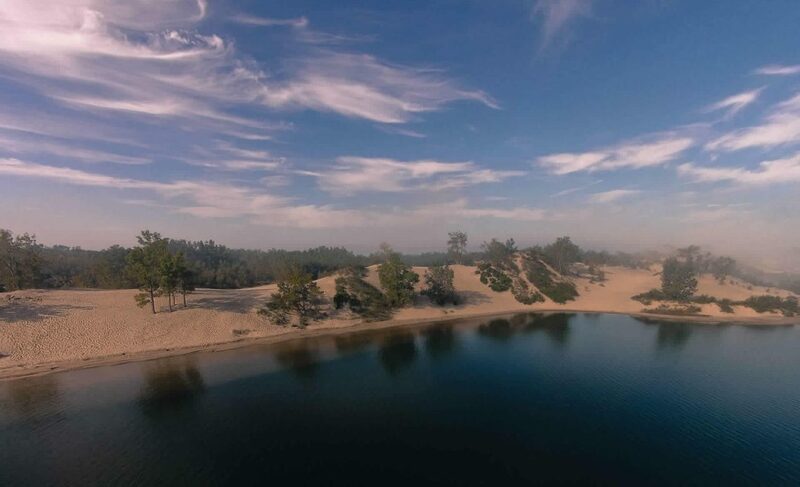 World-famous Sandbanks Provincial Park features towering sand dunes that look like a science fiction film. There are amazing bridges and rivers that can take you into marshlands or open water. 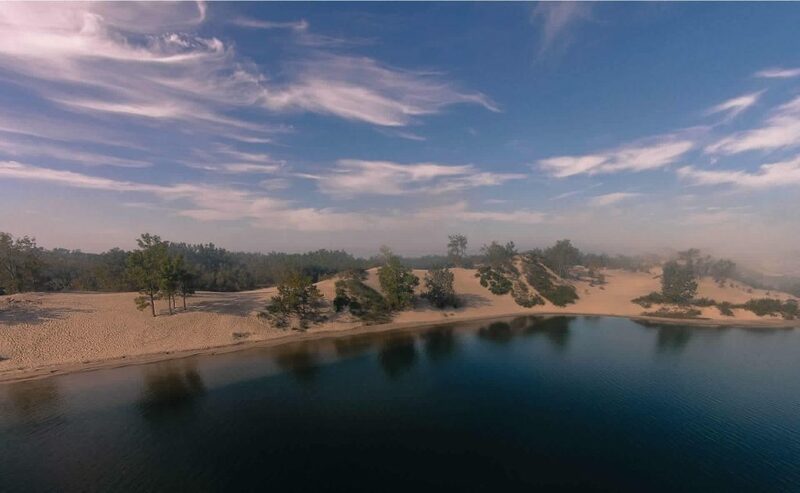 There are stunning vistas that stretch as far as you can see, whether it be beautiful rustic farmland, incredible forestry, or endless lake view horizons, the County is home to more natural beauty than you can imagine.